My current skin care routine contains more products than I’d like to use on a daily basis. Before I switch to a simpler routine, I thought I would share it on the blog. They are all drugstore type products and boast of nothing too fancy. My skin is highly acne prone, although over the years it has calmed down quite a bit and I don’t break out as easily. It has progressed from APST 3 to somewhat APST 2. (what is APST?). It is not oily nor dry, but can get shiny easily unless I make sure to use lightweight, non-greasy products. In my mid 30’s now, my skincare routine is targeted toward anti-ageing while attempting to avoid acne as much as possible. The problem with anti-ageing products is that they are often too emollient and cause breakouts. As my skin has calmed down, I am gradually moving on from hard-to-find, medicated and boutique products (I’m looking at you Avene Triacneal) to drugstore products that I can pick up while running errands. To avoid drying out my skin, I steer clear of anti-acne type products, such as those containing salicylic acid, benzoyl peroxide, high alcohol content, clay or oil-reducing ingredients. For my morning face cleansing, I use Glomed Face Wash. It doesn’t lather much which is okay for mornings when I don’t have makeup or sunscreen to remove. I’ve found that this face wash alone isn’t enough to stop pimples, but is a great non-drying alternative to other exfoliating washes like AHAGlow. I don’t care for its artificial fragrance (smells like an incense stick) and the non-existent ingredient list, but out of the limited options, this face wash wins. For my night time cleansing, I use my beloved Kaya Skin Clinic Soothing Cleansing Gel. It’s been 7 years of using this gel non-stop, without being able to find an alternative. I recently switched to a better product that I will talk about later. Not much of a toner user, I did get curious about Alba Botanica Even Advanced Sea Kelp Facial Toner. It is an alcohol-free toner that doesn’t irritate the skin. It is hydrating and adds a layer of light moisture before you go in with your treatment products. It claims to even out skin tone, but I haven’t been able to figure how much it has helped since I use other products to do that. After I use up this bottle, I’m not going repurchase, just because I’m not much of a toner person. It is a great toner overall. Next in line is a light moisturizing layer of L’Oreal Paris Hydrafresh Deep Boosting Essence. It is an ‘essence’, a type of product that has become quite popular in Asian skin care routines lately. To me it is nothing but a light moisturizer with a good amount of hyaluronic acid thrown in. It contains Ethylhexyl Palmitate that research says is highly comedogenic, but I’ve always had my doubts about this ingredient’s ability to cause acne. It is comedogenic alright, but not extremely so. Between Alba Botanica and the essence, my face feels lightly moisturized and ready for treatment products. I recently purchased a tube of Hyalugel. 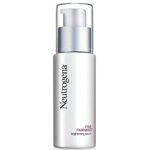 It claims to be pure hyaluronic acid gel in a non-comedogenic base. Now this is a claim because it comes with no ingredient list. It is not a moisturizer technically, but a humectant that pulls moisture to the skin. If you leave it on at night, it plumps up the skin so any scars look filled up and skin looks firm. I’m still testing it. I bought Neutrogena Fine Fairness Brightening Serum to see if it could be a drugstore (or grocery store if you will) alternative to Avene Triacneal. What attracted me to it was that it contains retinol, niacinamide and vitamin C. Now both of the latter ingredients are great for fading marks apart from retinol which is an all-round winner for acne, dark marks and wrinkles. After over a month of twice-a-day use, it hasn’t been able to fully fade 2-3 light pimple marks on my face but has evened out the skin tone quite a bit. As for the dreaded ‘fairness’ tag, I don’t care for it, because I don’t want to look weird with a face much lighter than the rest of my body. I’m not even sure it did much in that department. I should note that some people have broken out from it as it does contain some highly comedogenic ingredients. It all boils down to whether retinol, niacinamide and vitamin C will outweigh them in your case or not. I need something stronger, so Neutrogena Rapid Wrinkle Repair could be my next purchase. 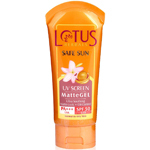 The only drugstore sunscreen I like is Lotus Herbals Safe Sun UVScreen Matte Gel. It is a re-purchase. It has broken out some, but has great overall ratings on its review page. I top it off with Sebamed Anti-Aging Q10 Lifting Eye Cream. This product comes with a lot of claims and is but a decent eye cream. It doesn’t irritate my eyes at all, so that is a big plus for sensitive eyes. I’ve been using it morning and night with no benefits other than a moisturized under-eye area. It has done nothing for fine wrinkles, under-eye shadows or firmness. This will not be a re-purchase for me. These are 8 products in all. I plan to whittle down to exactly 5 products that work well. Neutrogena serum is thicker than L’Oreal essence, so it goes on later. Baby Oil followed by Kaya Cleansing Gel is my way of double cleansing, a method which states to use an oil based cleanser followed by a foaming cleanser. So this is my current skin care routine. I realize it might not be an optimal one, but I do keep changing up products so I can tell you about them. Do share your current skin care routine in the comments.